Moving from a hosting account to a virtual or dedicated server? With add-on domains in cPanel, you could host a virtually unlimited number of sites on your account. A cloud compute instance, such as one from AWS, provides you with a single IP address. As you might know, only one web server can bind to port 80 at a time – so how do you host multiple websites on your own Linux box? The amount of CPU and RAM on your own server is more than the shared pool of resources normally on a hosting account. If your websites are not extremely high traffic (less than 5,000 visitors/month), why let the excess resources go to waste? An instance with 2 to 4 GB of RAM could easily host multiple WordPress sites. You can run multiple WordPress websites using a single MySQL database server and virtual hosts configuration in Apache, but nowadays, there’s an easier, more “cloud native” way to achieve the same result: Docker. Docker is a container runtime that gives each application its own user space, complete with process tree and file system, on a single Linux machine. Easy to deploy – With Docker, you pull app images directly from a repository with all the dependencies they need built in. In general, each container is responsible for a single service, hence the saying “micro-services architecture.” In the past, a single “monolithic” app would have many components that you would individually need to download the runtimes for. Portable – If any of your containers outgrow the physical infrastructure it lives on, you can use the commands docker commit (create a new image of the container with your additions to the layered file system), docker export (download a tar archive of the container) and docker save (download a tar archive of the attached volumes) to back it up. With a scheduling and orchestration tool such as Docker Swarm or Kubernetes, you can even scale up a service across a Docker cluster with a single command. Secure – Docker containers are isolated from one another, making it difficult for an attacker to gain access to other services from a single compromised application. Unless you are running a container with the –privileged flag, a container has very limited permissions on the host system, protecting the kernel from a malicious attack. nginx reverse proxy by Jason Wilder that automatically routes traffic to new containers that are created with the VIRTUAL_HOST=sub.domain.com environment variable. This nifty container performs a similar function to Traefik or HAProxy, but it is amazingly simple to use. letsencrypt-nginx-proxy-companion by Yves Blusseau that obtains an SSL certificate from Let’s Encrypt, the free Certificate Authority, when you specify the LETSENCRYPT_HOST and LETS_ENCRYPT_EMAIL environment variables on any application container (i.e. WordPress) that needs to be served over HTTPS. The companion even pings Let’s Encrypt every 90 days to automatically renew your certificates! Official MariaDB and WordPress containers from the docker-library, approved by the Docker Store. Many thanks to the maintainers of these containers, who have open sourced the Dockerfiles on GitHub and are well reputed in the community. The only things you really need to change for the recipe below to be ready to go are the parameters highlighted in blue. From your DNS provider, which may be your domain registrar or a third-party service such as CloudFlare, create A records for the domains and/or subdomains where you want to install WordPress, towards the outward facing IP address of your Docker host. Use a short time to live (TTL), such as 3,600 seconds or less to reduce the time that the DNS records will take to propagate. 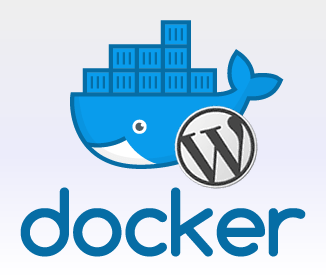 Find out how to set up your Docker environment on Linux here. You need SSH access to your server, which should run Ubuntu, Debian, Fedora or CentOS in order to use the community edition of Docker. If your VPS provider, such as DigitalOcean provides a “one click install”, it’s okay to use that as well. Create a swap file to prevent your MariaDB or WordPress containers from running out of memory under load. You can execute docker commands as root, but it’s recommended to create a normal user account and add that user to the docker group. For security reasons, you shouldn’t generally be performing tasks on your Linux box as root. Instead, add a regular user account to the sudo (Ubuntu) or wheel (CentOS) group so you can execute commands as sudo. 1. 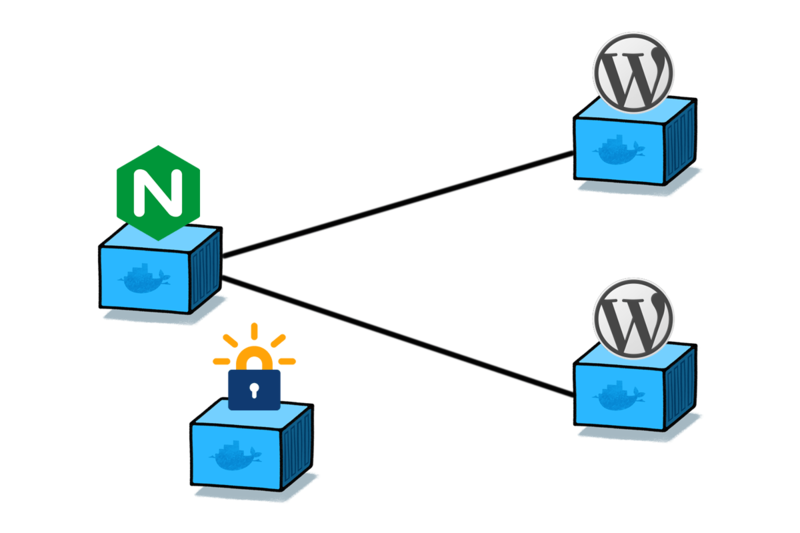 First, create a Docker network. This enables container DNS, which allows containers to communicate with one another by name. 2. Start the Nginx proxy. 3. Start the Let’s Encrypt Nginx Proxy Companion. 4. Start the MariaDB containers. 5. Enable large file uploads in WordPress (> 2 MB). 6. Start the WordPress containers. Now that you have two secure, containerized WordPress installations, you have the capability to add a third, forth or more. For further exploration, why not try hosting other applications besides WordPress behind the Nginx proxy? Any software that is available as a Docker image and listens on port 80 is possible. This simple, yet powerful architecture is useful for hosting multiple containerized applications with a single IP, allowing you to do even more with fewer cloud instances.